There’s no one like your grandma—she’s the bearer of secret recipes, teller of stories, and for Richelieu Dennis, she’s the inspiration behind organic bath, body and hair care line Shea Moisture. “My grandmother made and sold shea butter products in our village market in Sierra Leone,” says Richelieu, the founder and CEO of the company. The certified organic and sustainable line has expanded to include soaps, shampoos, and lotions galore, all which still boast the same indigenous raw ingredients, production processes and recipes that Richelieu’s grandmother first used. So with fall on the horizon, and its own skin and hair care problems to follow suit, we thought it was only appropriate we give you the scoop on this line at Target. Below, Richelieu fills us in on the details of the collection. 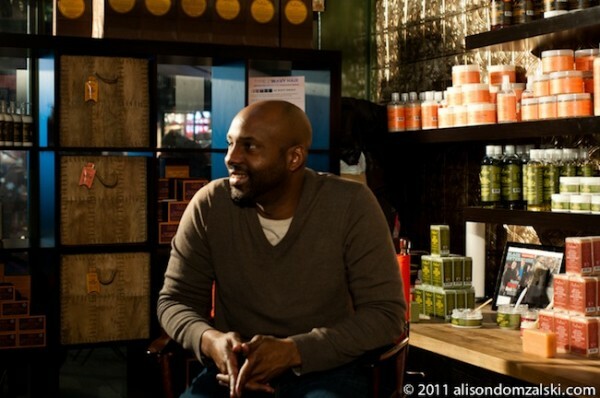 How are Shea Moisture products made today? Richelieu Dennis: We import most of our ingredients from villages in different parts of Africa. We’re still using the same production processes and raw materials as we’ve always used. As we’ve grown, we’ve extended the therapy to include ingredients indigenous to Asia, Africa, the Middle East, and the Caribbean. Who comes up with the recipes for products? RD: My sister creates the newer recipes, but everything is based on and rooted in my grandmother’s original recipes and formulations. 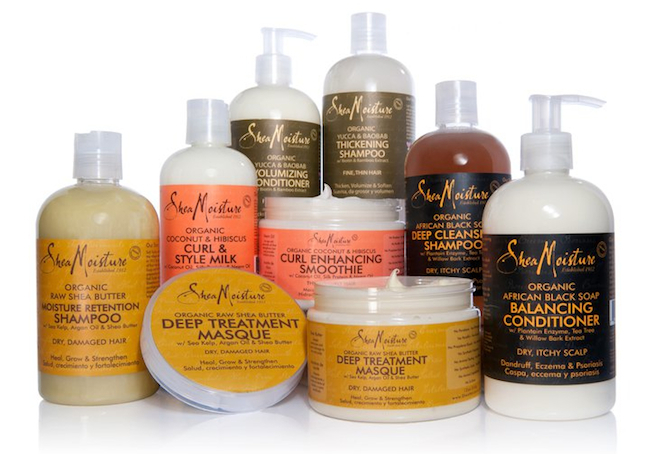 How is Shea Moisture unique from other skin and hair care brands? RD: We study how different cultures use ingredients native to their area to resolve their issues. We’re not just about using the bar of soap to wash your body. It’s learning what ingredient various cultures are using and in what forms they are putting those ingredients to get the maximum benefit. We take the guest on a cultural journey. What are some of the most popular products sold at Target? RD: Our hair care products based in shea butter and coconut oil, and our moisturizing soaps. The retention shampoo helps to soften, moisturize and repair damaged hair. With raw she butter, argan oil, and sea kelp, the shampoo is cruelty-free and doesn’t contain any chemicals like sulfates, parabens or synthetic fragrance or artificial flavor. Also, the coconut and hibiscus curl enhancing smoothie, which is an all-natural styling cream that hydrates hair while adding a shine and bounce to curls. Made with organic shea butter, coconut and neem oils and hibiscus extract, it is also cruelty-free and made without chemicals, artificial color or fragrance. Our baby products are also great, because they’re safe for baby and free of any chemicals. Your products are certified organic and sustainable. What does that mean? RD: That means the ingredients that go into our products are grown without any chemicals that are used in producing a crop. There are no chemicals used throughout the supply chain. Why do you think a healthy skincare regimen is so important? RD: Your skin is the largest organ on your body. It’s the one that shows and filters in all of the elements that we encounter. Taking care of that helps not only protect the skin, but also to protect the rest of the body from toxins and various ailments that are airborne. For us, that’s the first line of defense.